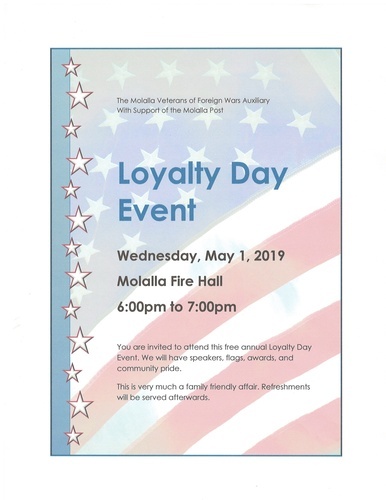 The Molalla VFW Auxiliary with support of the Molalla Post, invites you to attend this free annual Loyalty Day Event. There will be speakers, flags, awards, and community pride. This is very a family friendly event. Refreshments will be served afterwards.